Kaiyukan Aquarium in Osaka, Japan. 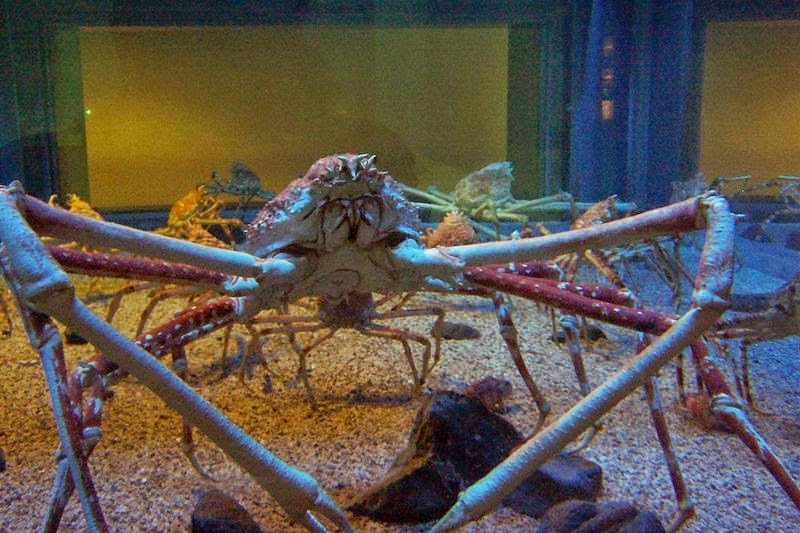 Meet the Japanese spider crab, the Godzilla version of crabs! Or should I say...Crabzilla? 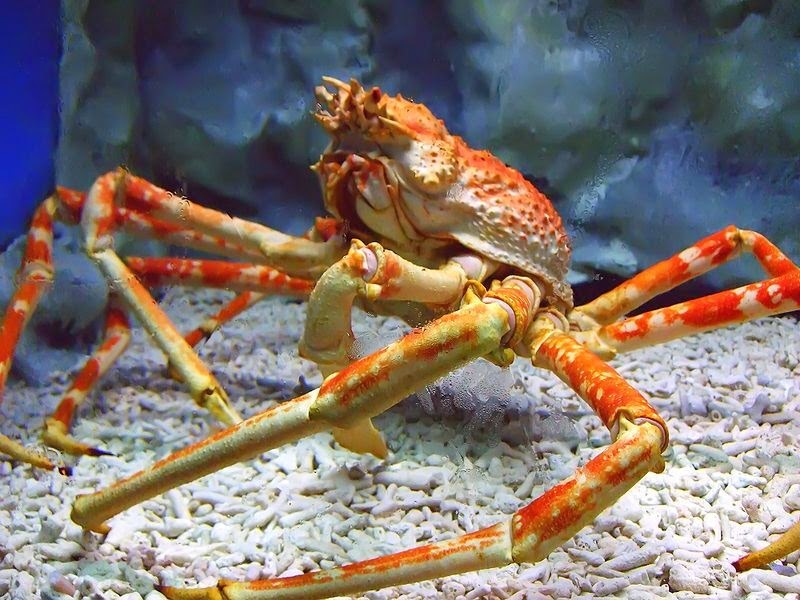 The Japanese spider crab is a gigantic marine crab and one of the world's largest arthropods, holding the record for largest leg span. The heaviest ever reported specimen was 19 kg (~42 lb), making it also the second heaviest arthropod. The heaviest is the American lobster (Homarus americanus). The species is primarily found off the southern coasts of the Japanese island of Honshū, from Tokyo Bay to Kagoshima Prefecture. Some populations have also been found in Iwate Prefecture and off Su-ao in Taiwan. Adults occur at depths ranging from 50 to 600 m (~165-1970 ft). M. kaempferi seems to have a preference for vents and holes in the deeper parts of the waters it inhabits. As aforementioned, the species holds the record for greatest leg span among arthropods. The largest recorded specimen reached an amazing 3.8 meters (~12.5 ft) from claw to claw. The heaviest ever reported specimen was 19 kg (42 lb). The well-calcified body (carapace) is relatively small, with a maximum known size (width) of 40 cm (~16 in) and is covered by spiny and stubby tubercles (growths). The base of the well-developed antennae is fused with the epistome (the area just above the mouth). The walking legs of the Japanese spider crab end in inwardly-curving dactyls (the movable part at the tip of a walking leg). These assist the animal in climbing and hooking onto rocks, but prevent it from picking up or grasping objects. Males have longer chelipeds (the legs that have pincers) than females do. Individuals of both sexes are predominantly orange, with white spots along the legs. Little is known about the longevity of the species. Many sources report that these arthropods may live to be at least 100 years old in the, but this may be a conjecture. 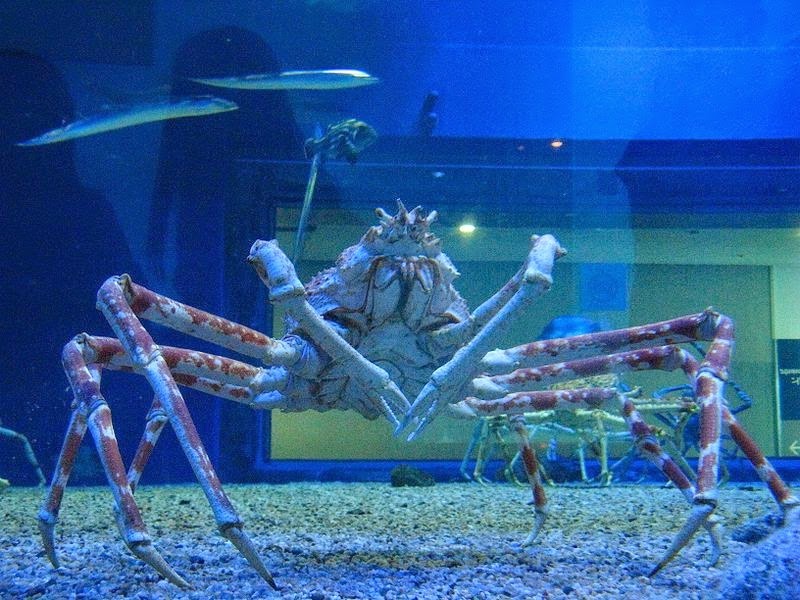 Japanese spider crabs at the Kaiyukan Aquarium in Osaka, Japan. M. kaempferi appears to have a gentle disposition, despite its ferocious appearance. Not much is known about how the species communicates. Actually, it seems like there is little communication between individuals, even in aquariums which are more...densely populated. They appear to be solitary animals, at least when scavenging for food. . They are omnivorous animals, consuming both plant matter (like algae) and other animals. Scavenging behavior (eating dead animals) has also been reported. Individuals are known to scrape the ocean floor for plants and algae while others prey open the shells of mollusks. These gigantic crustaceans are not active hunters, but instead crawl along and pick slow moving organisms or any dead and decaying matter along the ocean floor. The species mates once every year, during early spring, from January to March. During this period, individuals migrate to depths of around 50 m (~164 ft). We don't know much about their reproductive patterns in the wild, as mating behavior is rarely observed. 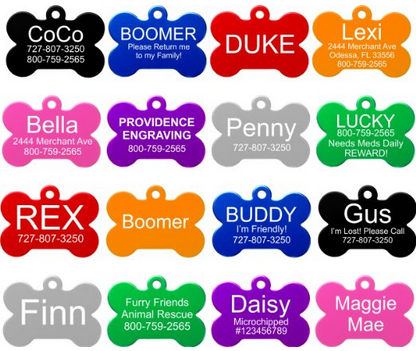 Much of our knowledge comes from observations made in laboratories and aquariums. Fertilization is internal. Males hold sperm in spermatophores, which are inserted into the female's abdomen using the first two chelipeds. Females commonly lay up to 1.5 million eggs per season, but only a few survive. The eggs have a diameter of 6.3-8.5 cm (~2.5 - 3.3 in), with hatching occurring after about 10 days. During this whole time, females carry the eggs on their backs and lower bodies until they hatch. This allows the mother to stir the water with her back legs to oxygenate the eggs. Hatclings are left alone to fend for themselves. The hatchlings look nothing like their parents. They are small and transparent, with a round, legless body and usually drift as plankton at the surface of the ocean. Development of the planktonic larvae is temperature-dependent and takes between 54 and 72 days at 12–15 °C (54–59 °F). As of 2014, the species was listed as "Not Evaluated" as there is insufficient data concerning its conservation status. The catch of this species has greatly declined in the last 40 years, possibly an indicator of a declining trend. In Japan, laws prohibit fishermen from catching M. kaempferi during the breeding season (January to April) in order to help keep populations up and to give the species the opportunity to spawn without interference. Individuals are for display in many Japanese aquariums, for example at the Kaiyukan Aquarium in Osaka and the Kamogawa SeaWorld. There are also some in display at the Weymouth Sealife Park in the UKs and the Shedd Aquarium, Chicago. Just use a search engine to find if an aquarium nearby has these weird aquatic animals for display. The species is considered a delicacy in many parts of Japan and other nearby areas. - Apart from its outstanding size, the species differs from other crabs in a number of ways. For instance, the first pleopods (any of the small paired paddlelike abdominal appendages) of males are unusually twisted, and its larvae appear primitive. - One study found that nearly three quarters of individuals are missing at least one leg, usually one of the first walking legs. This is probably because the limbs are long and poorly-jointed to the carapace, and tend to detach easily, due to predators, nets or other factors. - Mariners used to tell tales and stories of these crabs dragging sailors underwater and feasting on their flesh. 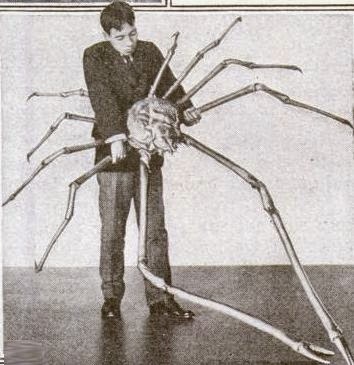 Although untrue, it is certainly plausible that a japanese spider crab would gladly feast upon the dead body of a sailor who had previously drowned. Yellowline arrow crab: Information about the yellowline arrow crab, a strange spider-like marine crab. - The Japanese Giant Spider Crab - Macrocheira kaempferi - Taka-ahi-gani". Natural Art. Retrieved March 29, 2010. - Peter K. L. Ng, Danièle Guinot & Peter J. F. Davie (2008). "Systema Brachyurorum: Part I. An annotated checklist of extant Brachyuran crabs of the world" (PDF). Raffles Bulletin of Zoology 17: 1–286. - Maurice Burton & Robert Burton (2002). "Spider crab". International Wildlife Encyclopedia (3rd ed.). Marshall Cavendish. pp. 2475–2476. ISBN 978-0-7614-7266-7. - "Macrocheira kaempferi". Crabs of Japan. Marine Species Identification Portal. it is combined spider n crab. ive seen one of these before in the omaha zoo, the things just sit there. I'm doing a report on the species.